Posted by Paul | No comments. A couple months back I was asked to draw cartoon turtles for a Toronto Star children’s book by Jim Coyle explaining how the Blanding’s turtle took on wind turbines in Prince Edward County. Sometimes life is good. Every Sunday for the past few months I’ve been drawing something sea creature related for a collaborative Tumblr, appropriately called Sunday Sea Creatures. 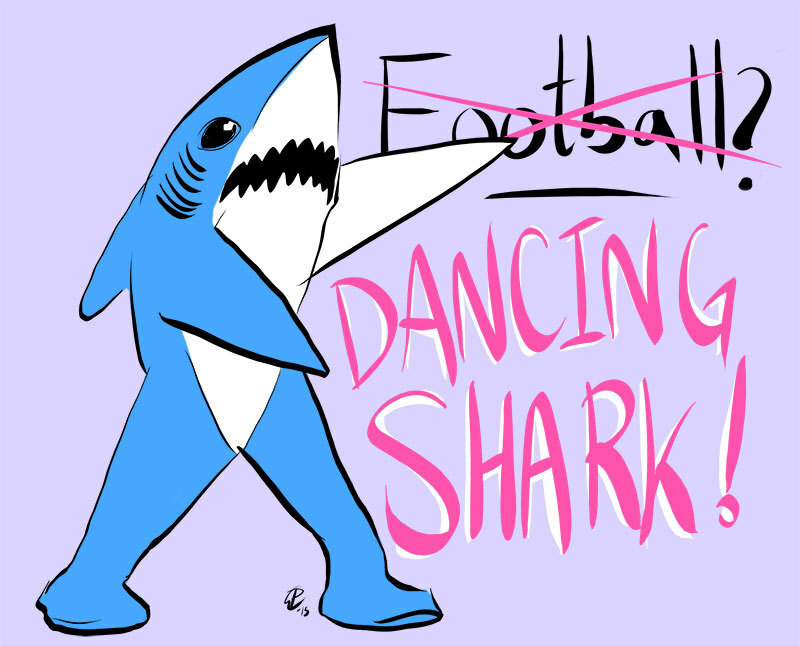 I was having a tough time coming up with an idea this week, until I happened to turn on the Super Bowl just in time for Katy Perry half-time show featuring none other than dancing sharks. I had too much fun with this one not to post it here too. Posted by Paul | One comment. As usual, the cover image is a digital illustration based on a detail of the original album cover, in this case 1971’s The Sky’s The Limit. Can you spot the bird? My initial idea was photoshopping pictures of myself in similar outfits and poses over that cloud-scape, so you’re welcome.